Commercial & Industrial - Alarvac Systems Inc.
For all your applications, whether small, large, or somewhere in between, Alarvac Systems Inc. has the 20 years of experience and the expertise to assist you in the selection, design, and installation of a central vacuum system. 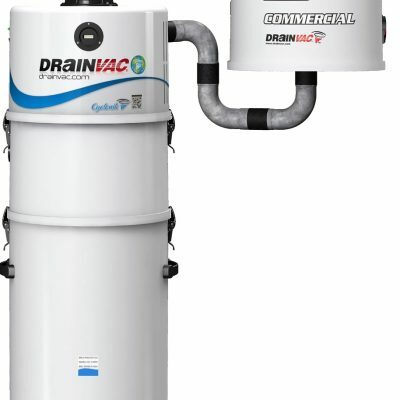 Having installed commercial and industrial central vacuum systems in Car Dealerships, Mushroom Farms, Nursing Homes, Airport Control Towers, Manufacturing Plants, Public and Private Schools, Restaurants, Post Offices, Hotels, Churches, Manufacturing Plants, Fire Stations, Hair Salons, Office Buildings, Veterinarian Offices, Police Stations, and more, we have the experience to determine what will work in your facility. If you’re considering purchasing a Central Vacuum System for your business, let us give you some reasons why you should. No need to worry about the task of vacuuming interfering with your business when you use a central vacuum system. With the unit stored in an out of the way place and the quiet motors and mufflers now available with central vacuum systems, you’ll be able to keep your business clean without the noise. You have so many options of tools available with commercial central vacuum systems today, specific commercial hoses and tools that will fit the needs of your business. From vacpans where you can sweep dirt right up to your wall and watch it disappear, to “Vroom” which is retractable hoses so you don’t have to carry a hose, to separators that turn your system into a wet vac, a central vacuum will give your business greater versatility in how you clean. No more dragging around vacuums to do the cleaning. Just plug in the hose to the wall unit or better yet, pull the retractable hose from the wall unit and start cleaning right away. The variety in accessories for central vacuum systems is worth your consideration. Central vacuums are up to 10 times stronger than regular vacuums, central vacuum units come with warranties up to 10 years ensuring you are purchasing an investment for your business. A Central Vacuum System removes the dirt from the air and carries it off instead of a conventional vacuum where dust and dirt escapes back into the air as you’re vacuuming. With advanced filtration today, central vacuuming has proven to improve air quality by as much as 52% by removing allergens from the air. As you’re cleaning, you’ll be providing cleaner air for your customers and employees and reducing the amount you have to clean by not putting any dirt or dust back into the air. 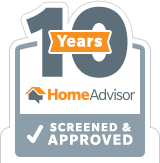 Not to mention saving TIME cleaning reducing your bottom line.